While the Sensex opened 41 points lower at 36,171, the Nifty lost 10 points to 10,845 in early trade. The Sensex and Nifty opened lower in trade today after uncertainty over the outcome of China-US trade talks cast a pall over Asian markets as both sides kept mum about what lies ahead. While the Sensex opened 41 points lower at 36,171, the Nifty lost 10 points to 10,845 in early trade. Of 30 Sensex stocks, 16 were trading in the green. Tata Motors (1.34%), YES Bank (0.78%) and NTPC (0.89%) were the top Sensex gainers. 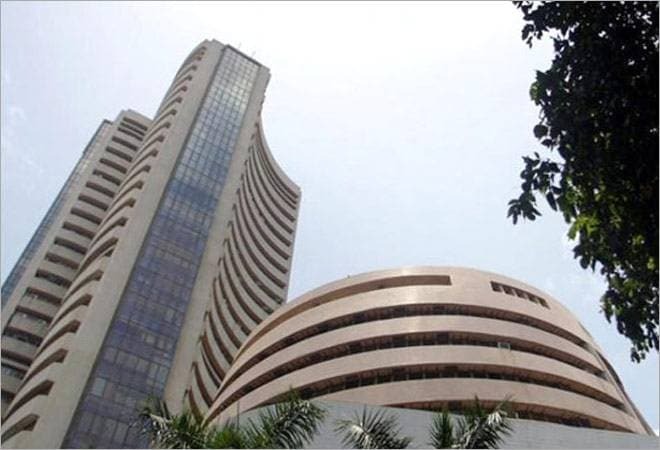 Top Sensex losers were IndusInd Bank (2.39%), Axis Bank (1.01%), and HDFC (0.67%). On Wednesday, the Sensex closed at 36,212.91, up by 231.98 points, or by 0.64 per cent, and the NSE Nifty ended 53 points, or by 0.49 per cent, higher at 10,855.15. Meanwhile, the mid cap and small cap indices were trading 62.89 points and 49.79 points higher in early trade. Market breadth was negative with 914 stocks trading higher compared to 1381 falling on the BSE. Banking stocks led the losses with the bankex falling 139 points to 31,026. BSE capital goods index was the top gainer rising 100 points to 18,436. Meanwhile, the rupee appreciated 14 paise to 70.32 against the US dollar in early trade today amid weakness in the American currency on uncertainty over Federal Reserve rate hikes following the release of Fed meet minutes. Forex traders said the weakness in the US dollar against other currencies overseas, falling crude oil prices and fresh foreign fund inflows pushed the rupee higher. The minutes of US Fed's latest policy meeting showed the policymakers may slow the pace of rate hikes to prevent a slowdown in the economy. At the Interbank Foreign Exchange, the rupee opened weak at Rs 70.49, but soon appreciated to 70.32 against the greenback, up 14 paise over its previous closing price. The rupee on Wednesday had depreciated by 25 paise to close at 70.46 against the US dollar. Brent crude, the global benchmark, was trading lower at 60.89 per barrel, lower by 0.90 per cent. On a net basis, foreign portfolio investors (FPIs) bought shares worth Rs 276.14 crore on Wednesday, while domestic institutional investors (DIIs) were net buyers to the tune of Rs 439.67 crore, provisional data available with BSE showed. Asian markets were mostly lower Thursday as U.S. and Chinese officials wrapped up three days of talks in Beijing without significant breakthroughs. Japan's Nikkei 225 index, which closed up 1.1 percent on Wednesday, retreated 1.4 percent to 20,141.93. The Kospi in South Korea dropped 0.1 percent to 2,062.49. Hong Kong's Hang Seng shed 0.3 percent to 26,394.06, while the Shanghai Composite index was flat at 2,545.05. Australia's S&P ASX 200 lost 0.3 percent to 5,759.80. Shares fell in Taiwan but rose in Singapore, Indonesia and the Philippines. In the US, stocks rose for the fourth consecutive session after American and Chinese negotiators extended their talks to a third day. The S&P 500 index added 0.4 percent to 2,584.96. The Dow Jones Industrial Average climbed 0.4 percent to 23,879.12 and the Nasdaq composite was 0.9 percent higher at 6,957.08. The Russell 2000 index of smaller company stocks rose 0.9 percent to 1,438.81.